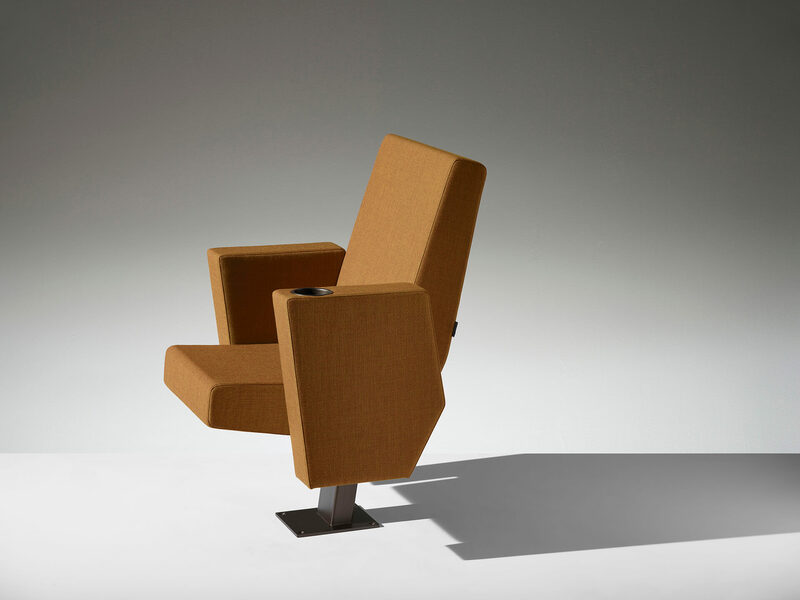 Armchair characterized by a balanced, essential design, capable of offering customised solutions also for complex set-ups. 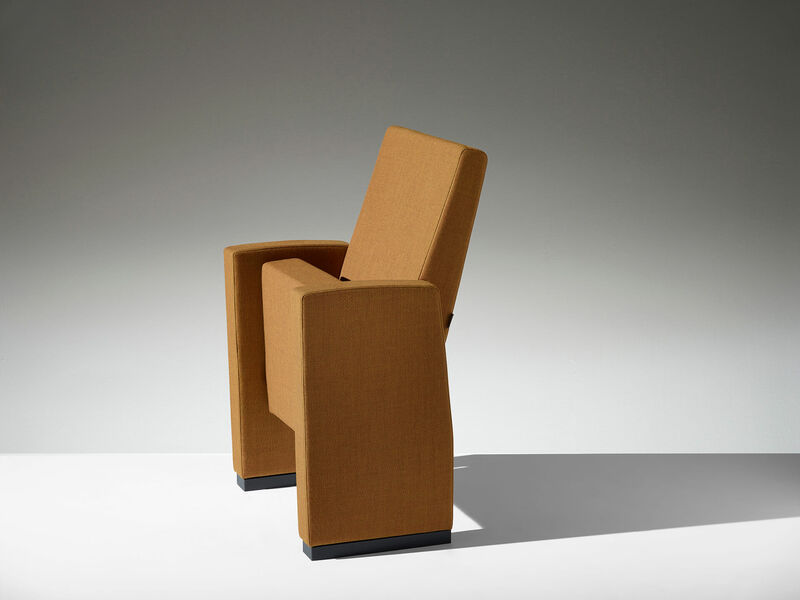 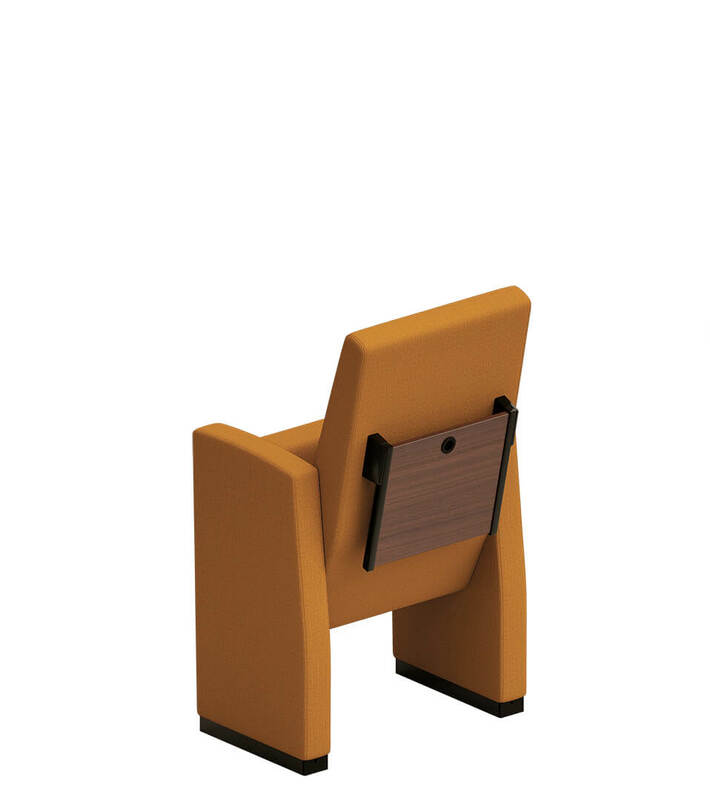 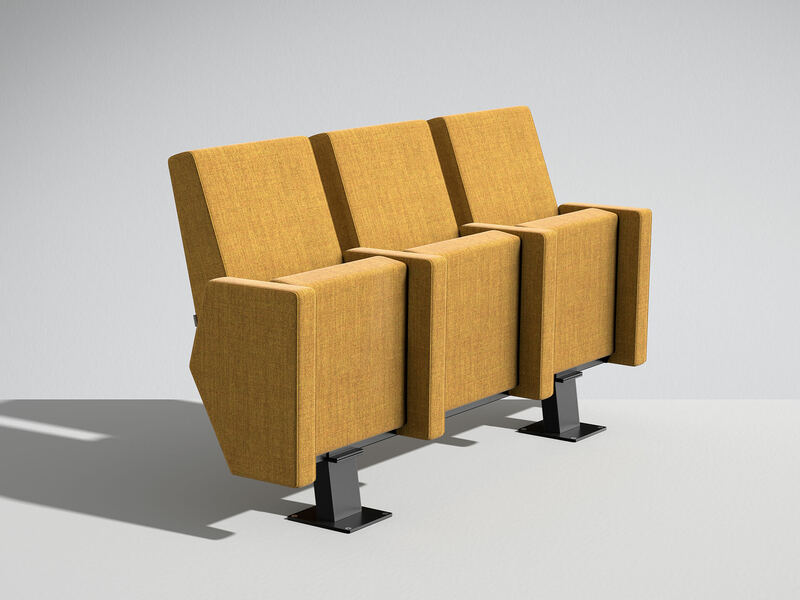 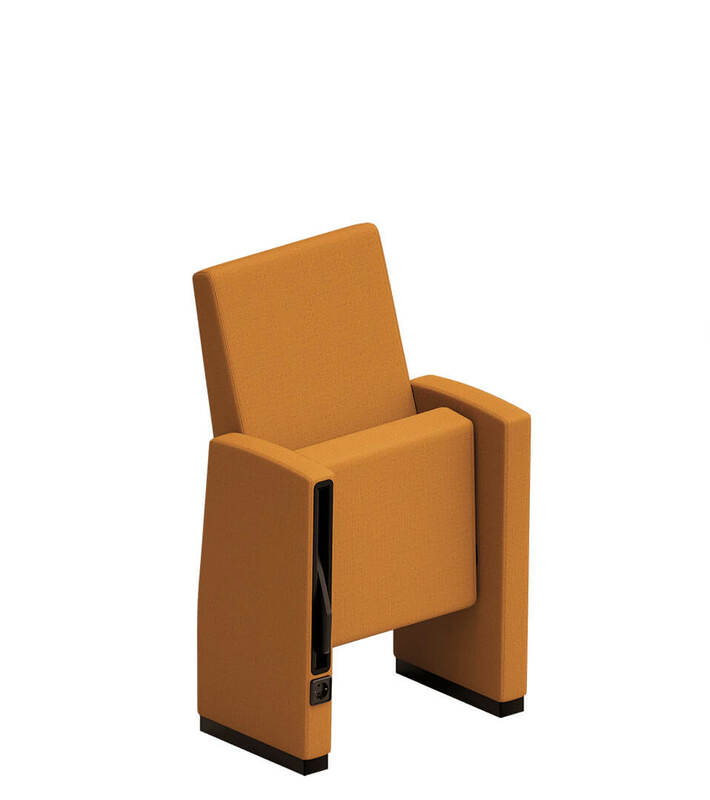 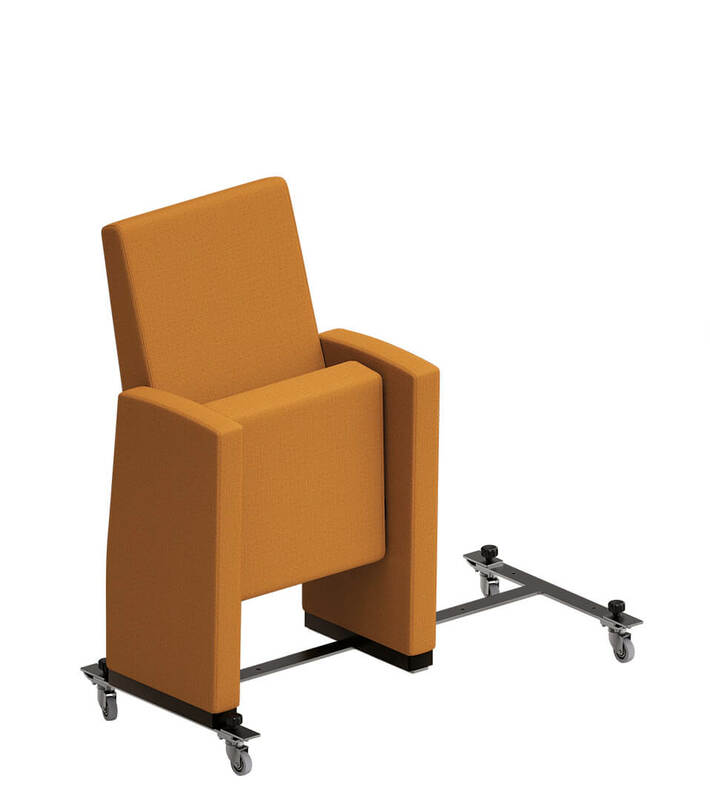 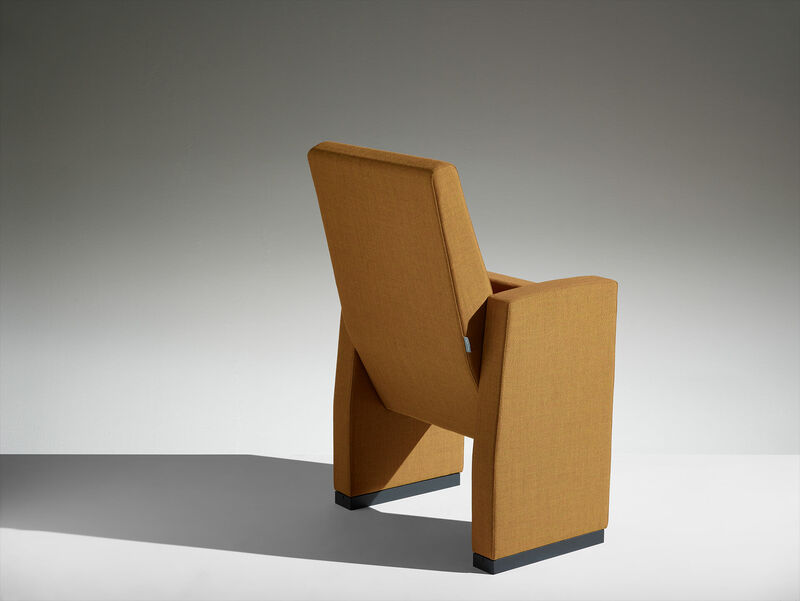 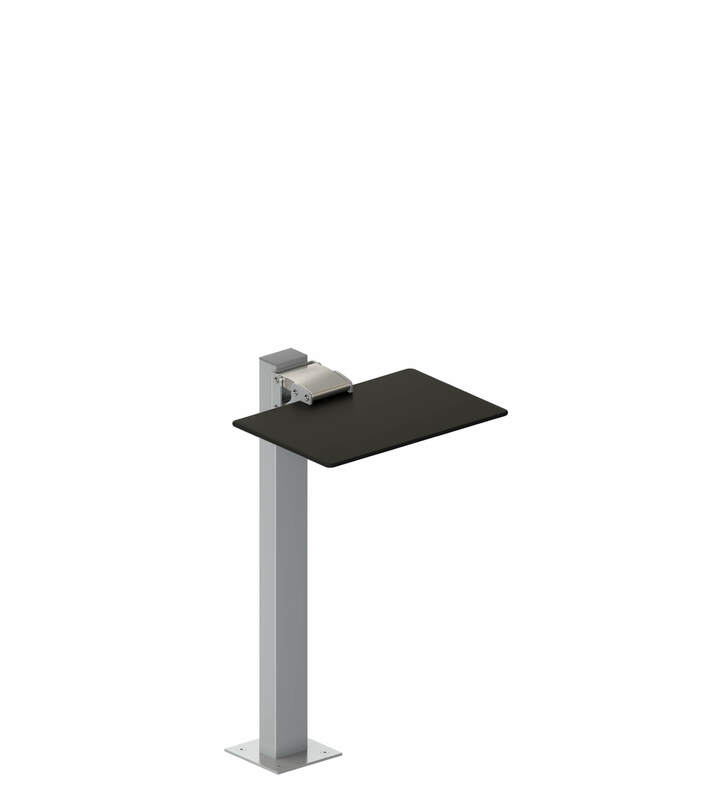 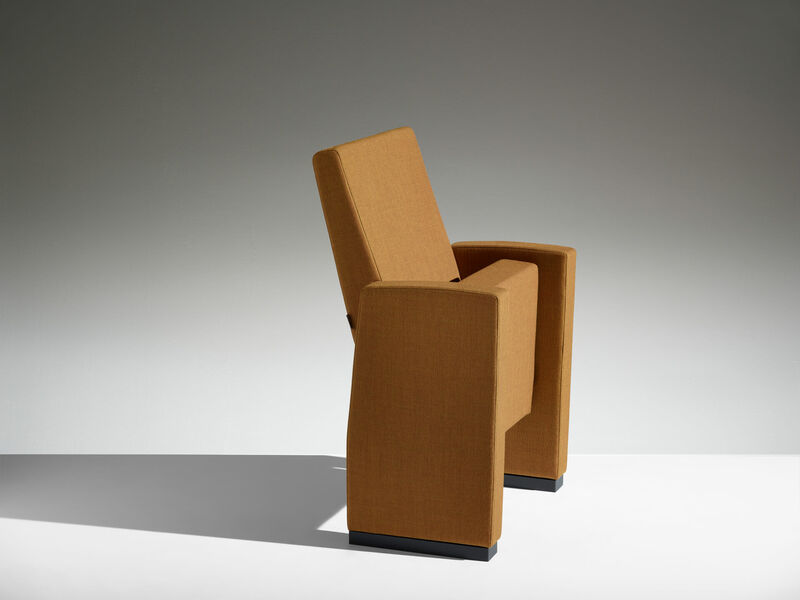 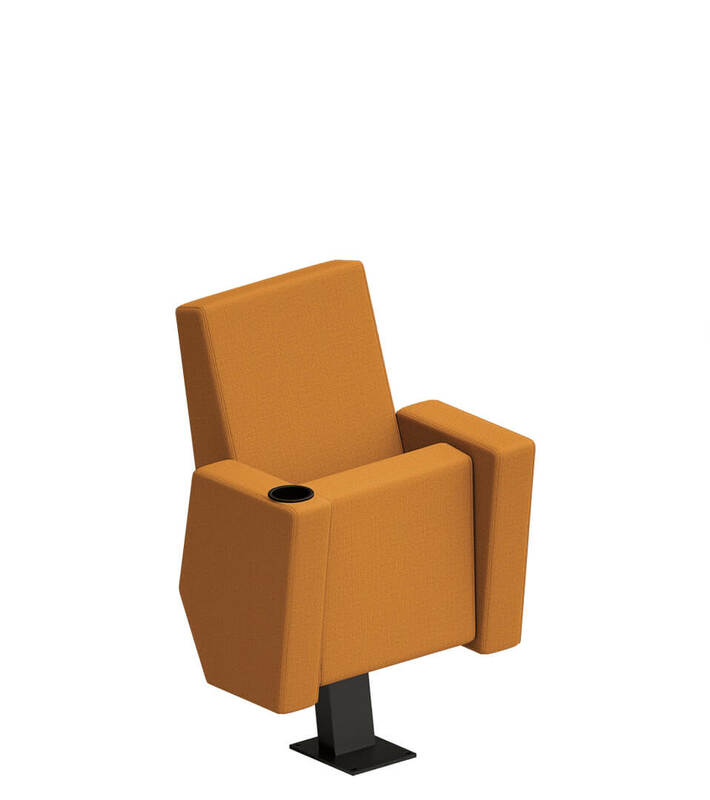 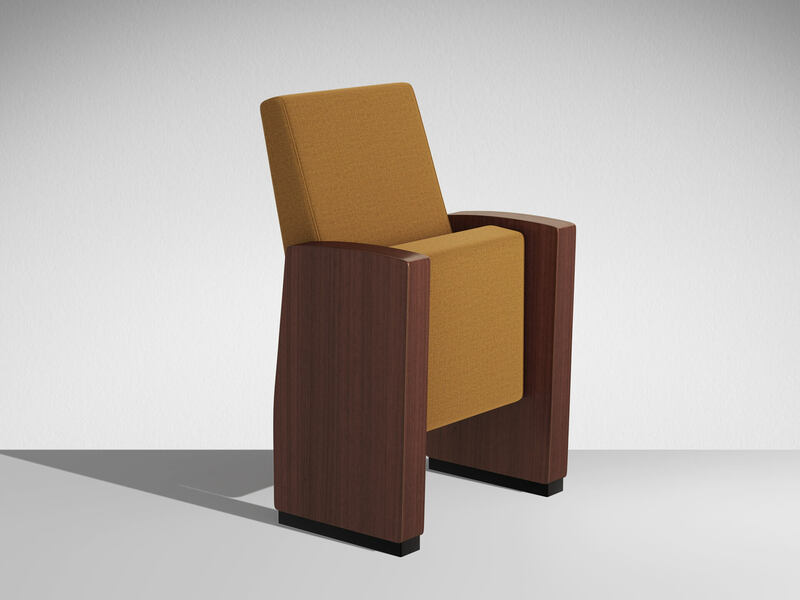 Slightly shaped to offer a comfortable seating, the backrest and seat come together when closed, fitting perfectly into the sides, which are available with floor-length sides for “Standard” version or short for single-base “Large” version sides. 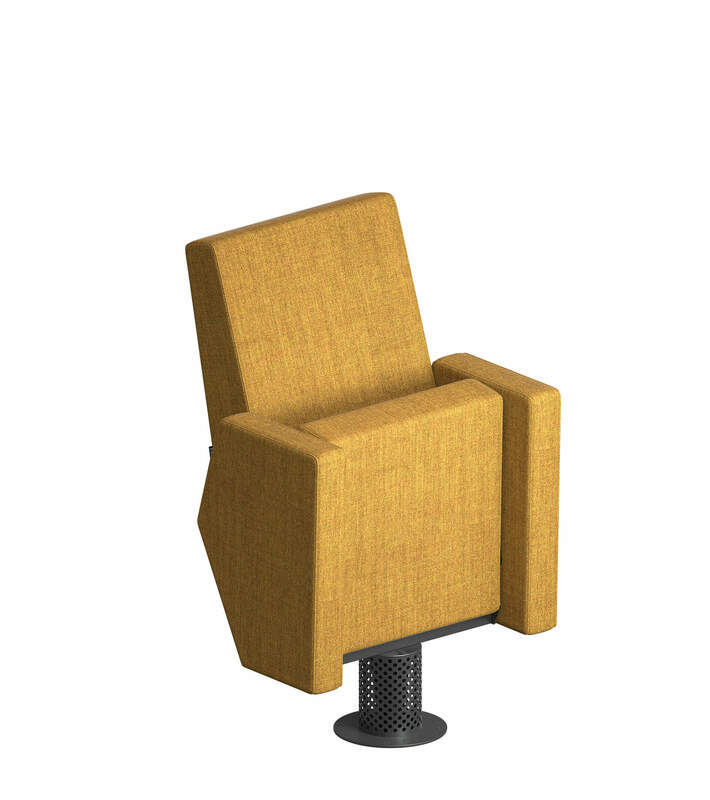 Tip-up backrest table with anti-panic movement (closed).Tip-up backrest table with anti-panic movement (open).Painted wood low backrest panel.Tip-up foldaway writing tablet.Row identification and seat numbering element.Provision for electric power supply (socket on demand).Painted wood under seat panel.Accessory system allowing the armchairs to be moved, on castors, when not in use.Bottle-holder for Large side.Perforated ventilation cylinder for single-base armchair.Tip-up writing table on single-base mod T200.